The Venlo-Eindhoven region is one of the most important logistics regions in the Netherlands. Of course the Palletcentrale is extensively represented in this region. Logistics companies require peace of mind. Good quality used pallets that must be available immediately, surplus pallets that have to be removed “instantly”. Delivery of small numbers, deliveries of full lorries; all these wishes and needs are met from our Helmond branch. In order to best meet the growing demand from this region, the Palletcentrale was established in 2003 in the centrally located Helmond. Customers who require a smaller volume can be optimally supplied from this location, where short lines ensure a fast delivery and collection response. The collection of smaller numbers of surplus batches of pallets is part of the “core business” of this location. 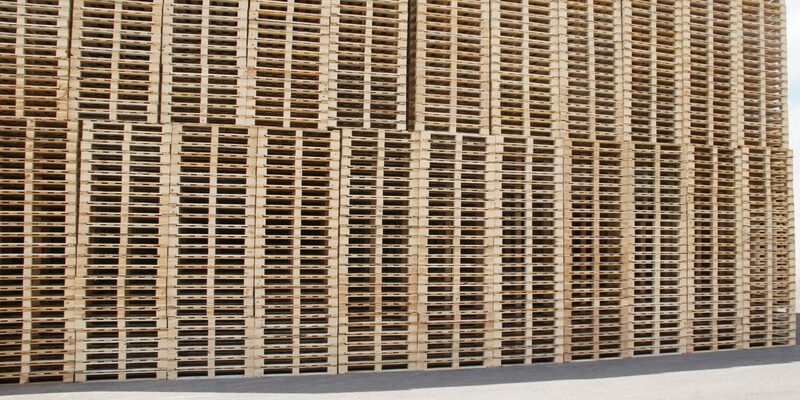 The product range is very varied and a large roof at this location means we can supply dry pallets. Here, we have long been very familiar with the high volatility of the logistics sector, and the services have been designed accordingly. The optimal fast service ensures that we have a regular clientele in this logistics region.